When you have a small kitchen, it can be extremely frustrating until you figure out how to make it work. Contrary to what is portrayed the home design shows and social media, not everyone has the perfect kitchen with endless storage, miles of stone countertops and perfect appliances. Nor do most people have the budget to overhaul what they do have. Only have what you need out at all times. For me, that’s the coffee maker, toaster, wooden spoons, cooking oils, and the Kitchen Aid mixer. Keeping items off of the counter tops helps to give you the space to prepare your meals which is at a premium in a small kitchen. Don’t be a gadget hoarder. Buying kitchen gadgets can be really tempting. All of these gadgets claim to make our lives easier, but in reality, they take up space when we put them all together in the one drawer that’s available. For instance, recently I purged a bunch of gadgets, and I haven’t missed them. Is there space above your cabinets, or an area above your counter with no cabinet where you can add open shelving? If so, add some! Even the space above your sink can be used to house herbs for cooking! 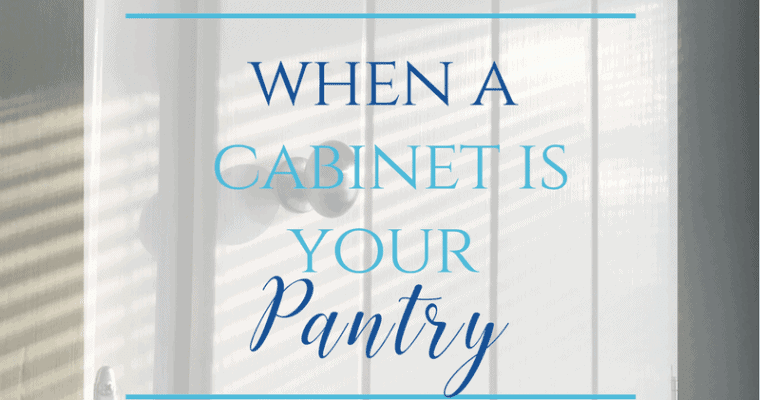 Use your cabinet space wisely. There are many hours of my life that I’ll never get back from sitting on the floor with my head stuck into the back of a dark cabinet searching for what I need. After having seen this spectacle one too many times my husband installed roll out cabinet shelves in our small kitchen. When he did that he improved the functionality of the kitchen by eighty percent. It’s seriously one of the best organization hacks I can recommend. There are plenty of magnetic surfaces in your kitchen, and you can buy others. Use the side of your refrigerator for magnetic spice jars. Purchase corkboard tiles, attach magnets to the back of them, and put them on the other side of your fridge. Use them as a family command center. To make it even simpler, purchase 8”x10” magnetic pocket frames. Instead of using them for photos (which is also a space saver), use them to organize all of your important school information for the kids and to display the weeks’ artwork and papers that the kids are most proud of. Use a magnetic knife strip to free up drawer space and keep knives where you need them (and safely away from little hands). 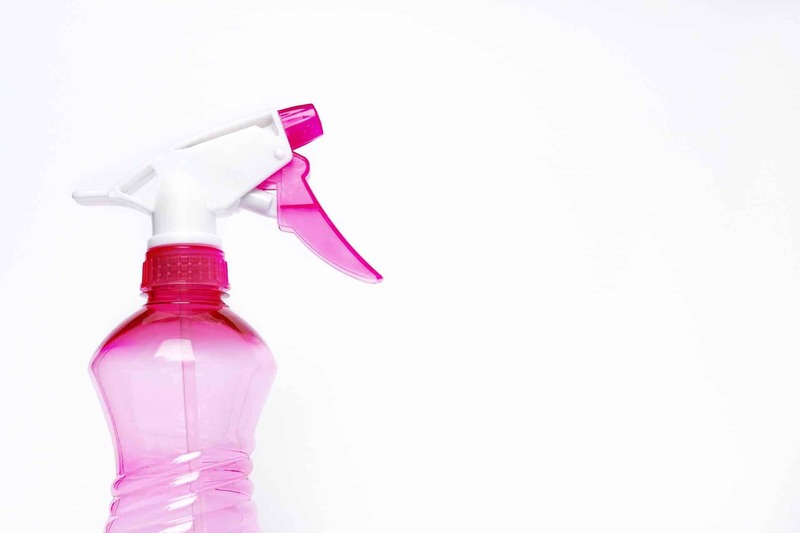 How many things do you have stored under your kitchen sink that you never use? When I took a good look I found a crazy amount. Think about what it is that you need for your house and keep only one on hand. As you start to run out, add it to your shopping list. As opposed to what cleaning companies would have you believe, we simply don’t need 6 different kitchen cleaners, a years worth of sponges, and 22 dusting rags in our small kitchen. Keep it simple, and corral all of it up into a sliding shelf or cleaning bucket so you always have a handle on what you have. Keep your kitchen a paperwork free zone. I was a big offender of allowing a pile of papers accumulate and occupy priceless prep space in my small kitchen. When you pick up the mail, go through it immediately and discard or recycle any junk mail. Bring magazines and newspapers to the living room or bedroom to be read and then recycled. Go through your child’s schoolwork each day and discard what you don’t need to keep. In other words – don’t deposit papers on the counter and leave them there. I have one area, on the wall where I keep important papers, keys, pens, post its, etc. This keeps these items off of the counter and at hand when I need them. For that reason, I stay more organized in several areas of my life. Utilize space between your countertop and cabinets. When I first saw these IKEA storage solutions I knew I had to have them. I’m able to keep things out that I’d otherwise need to find storage for, and now they are always within reach. One of my biggest tips for making your small kitchen work? The biggest tip for working with a small kitchen? Only have what you really need. If you haven’t used it, donate it. I would guess that many of the top chefs we know of today didn’t all start out in huge kitchens. Consequently, they probably honed their culinary magic in little areas just like the ones you and I have. Don’t let a small kitchen get in the way of creating amazing meals or creating memories with your family. Love the kitchen you’re in.